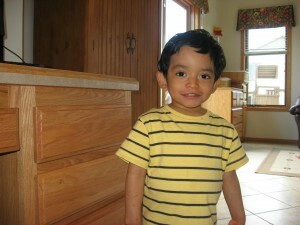 Join the Fight Against Epilepsy With Our Friends at Joey’s Song and Support Gio’s Garden! Read more about Joey’s Story at joeyssong.org. Celebrate the latest Joey’s Song releases at a Benefit Concert featuring Sam Llanas of The BoDeans, Freedy Johnston and Robbie Fulks! This is an event for the whole family. Joey’s Song is a series of compilation CDs featuring rare and unreleased music from nationally and internationally known, award winning artists. The CDs are named in honor of Joey Gomoll, who passed away in March of 2010. If you would like to get to know Joey and learn a little about the genesis of Joey’s Song, please take a moment to visit joeyssong.org. Half of all money raised at this stellar show will support Gio’s Garden and the families we serve. 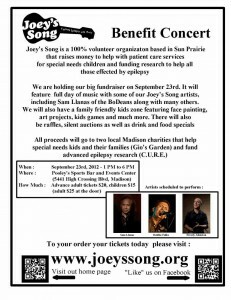 Visit joeyssong.org for more details and to purchase tickets today. The Joseph Gomoll Foundation was created to raise money and awareness in support of special needs children and those who suffer from seizures. 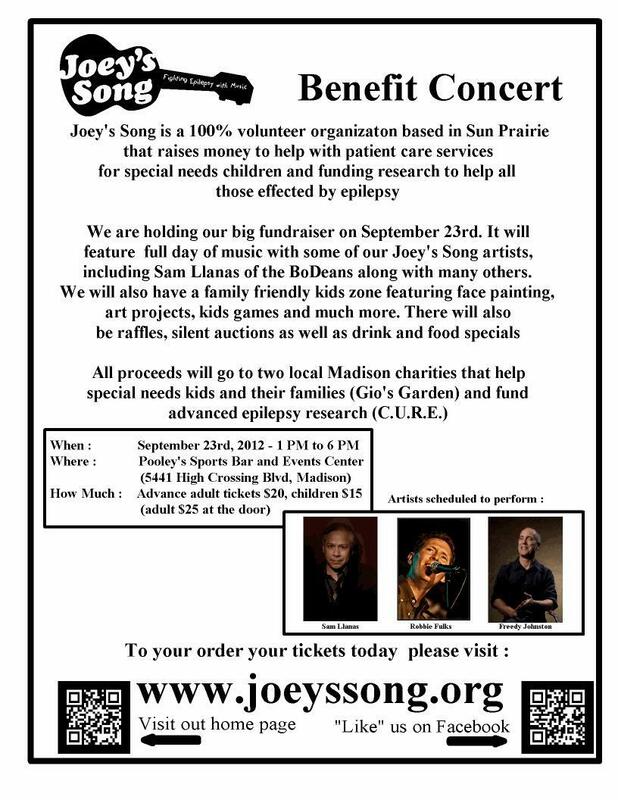 Over 100 internationally-known artists have agreed to donate their art to the Joey’s Song CD collection, which raises desperately needed dollars to fund research programs and patient services for deserving kids and families. 100% of the proceeds from CD sales and concert events go to such charities. Please call ahead to schedule a tour or an appointment. Copyright © 2019 GIOS GARDEN.